Curiously fun, amazingly effective, refreshingly affordable. Education Galaxy provides online assessment, practice, and instruction in a highly engaging environment for students. Education Galaxy supports math, reading, language arts, and science at the elementary level (K-6). What makes Education Galaxy so Special? What makes this program stand out from the crowd is the fun and engaging way it builds student’s assessment proficiency. As most of us know, when students are engaged, their capacity for learning is greatly increased. This bilingual (English and Spanish) program motivates and rewards students to achieve full standards mastery and prepare for their state tests without distracting from the learning process. It’s been built 100% from the ground up to each state’s standards to match the rigor of the state tests. 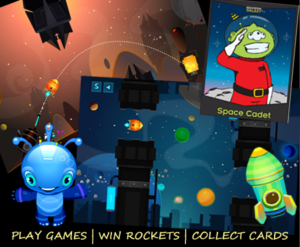 With its cool alien and space theming, Education Galaxy keeps kids interested and excited to work on assessment practice. During the learning sessions, when a student gets an answer correct, he or she is immediately rewarded with a quick 20-second gameplay. 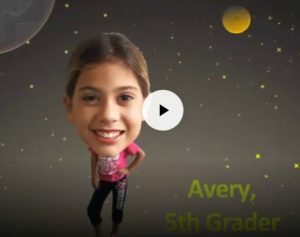 If a student gets an answer incorrect, he or she is shown an “Alien Explanation” video, giving specific and step-by-step instruction for solving that question. Students then return to the session and apply that learning to correctly answer the question and on subsequent questions as they progress through a session. With well over 10,000 videos available, your students will have almost limitless instruction while they work through Education Galaxy. This combination of reward and reinforcement has been proven to be highly effective with elementary school learners. Data-driven instruction is important in any classroom which is why Education Galaxy generates 44 comprehensive reports to show the areas of strength and weakness in their students. The Liftoff program provides adaptive intervention for struggling learners. It’s designed to find the students’ current level, work with them at that level and quickly get them to grade level. Students take either summative diagnostics in Education Galaxy or adaptive diagnostics in Liftoff in order to develop a truly individualized learning plan. Each student is motivated and rewarded for mastering the standards and skills that are most difficult for him or her. Research data shows that students who use Education Galaxy score an average of 6 points higher on state test compared to those who don’t. Education Galaxy provides many case studies and testimonials showing stunning performance and results. Education Galaxy’s programs are unique because they are built with student engagement in mind. Engaged students have a greater capacity for learning, and these programs are highly engaging with minimal distraction in the learning environment. This is a trusted tool which enhances and empowers the classroom teacher by providing immediate and actionable data to drive instruction. The ease of use also puts valuable instructional time back into the classroom.